Sandy shores (especially recently exposed ones) and fields, wet depressions, meadows and prairies, even marly or peaty places. Our plants are all the narrow-leaved var. 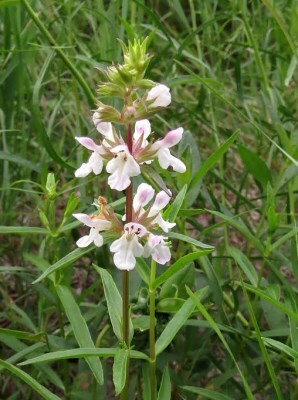 hyssopifolia, a taxon largely of the Atlantic Coastal Plain from Massachusetts to Georgia, disjunct in Michigan and adjacent northwest Indiana. MICHIGAN FLORA ONLINE. A. A. Reznicek, E. G. Voss, & B. S. Walters. February 2011. University of Michigan. Web. 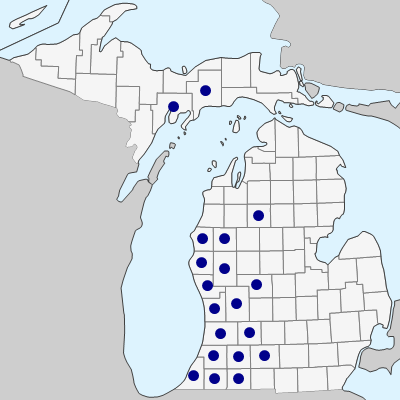 April 21, 2019. https://michiganflora.net/species.aspx?id=1602.